Fr. 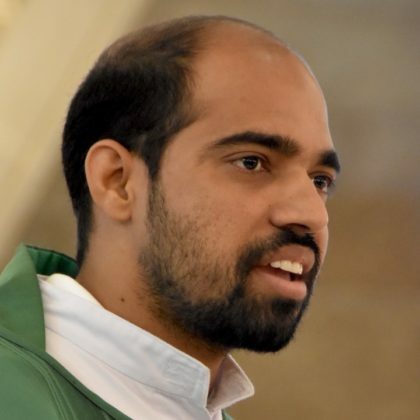 Praveen Richard, SCJ, gave the most recent presentation for the library’s spirituality series on March 19, 2019. He gave us a wond erful introduction to the spirituality underlying Hinduism. Fr. Praveen is from the India District, and is here studying in the English and Culture Studies Program (formerly known as the English as a Second Language [ESL] Program). Here’s a link to the video on YouTube.